Valve have pushed out another update to SteamVR, this time Linux has been given experimental support for SteamVR Home. Find the full changelog here. 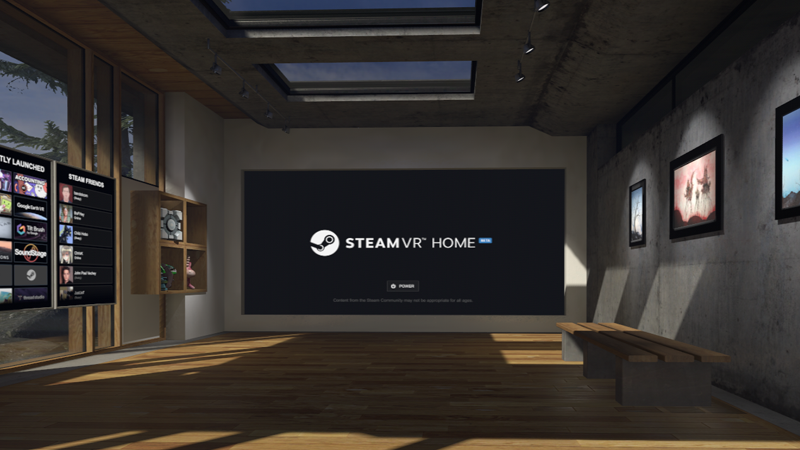 SteamVR Home is an interactive virtual space that you can explore and customize to your liking. Environments support animation, sound, games, and you can teleport around and explore locations created by the community. It has social features built in too, so you can invite friends over to your home space. You can also launch VR games from here and more. Find out more about SteamVR Home here. Good to see Valve pushing VR support on Linux further along. I'm still sad about how expensive VR headsets are, it's basically a pipe dream for me right now so we likely won't have any VR reviews here. Valve said they couldn't provide me with one and HTC themselves have never replied to me. That continues to puzzle me. I tried it earlier today, but it was broken for me. Once it displayed a bench, but the tracking wasn't working. All the other times the headset was just showing black. I didn't try it yet. But i will try this afternoon. I love the push they do on this now - apparently it's got focus. I'm still hoping for a fully fledged VR experience sometime this year, although I will have to adjust my initial hopes of it happening this summer. Does anyone have any pointers on how to make the old Oculus Development Kit 1 run on Linux? I haven't found anything yet. Hopefully Linux will have good VR support when the AMD RX Vega lineup launches. Would be nice if Debian Stretch would get the newer nVidia drivers so it'd work out of the box. Not sure if they have plans to do so or not yet. I test mine out in Arch Linux, and basically we just need more games / engines with Vulkan support. I also noticed that SteamVR for Linux is no longer in a 'beta' channel. I just tested it few minutes ago, first time it run "good", with some latency. Second time i recorded, but after a while it hang up my computer. Well here the video i did fast, without audio from vr.. i will try to set better for next video. I will do it later. Nah, its the exactly the same as destinations.